Sphere Martial Arts (BJJ,MMA & Grappling) is a Martial Arts School offering Brazilian Jiu-jitsu & Mixed Martial Arts (MMA) classes in Townsville, Australia for kids, men and women. Sphere Martial Arts (BJJ,MMA & Grappling) is Located at . If you are associated with this Dojo, please provide additional information such as class schedule, Website address etc. There is no cost. View a Location Map, get Directions, Contact Sphere Martial Arts (BJJ,MMA & Grappling) or view program details below. If you are a student at this school, help your local Martial Arts Community by writing a Review of Sphere Martial Arts (BJJ,MMA & Grappling). You can also help your school by sharing it on Facebook, Twitter, Google+, Pinterest etc. Brazilian Jiu-jitsu & Mixed Martial Arts (MMA) classes are available for children and adults. Daytime and evening classes offered all year round on various weekdays. Please contact Sphere Martial Arts (BJJ,MMA & Grappling) for exact class hours for different age groups. Would you like more information on hours, classes and programs available at Sphere Martial Arts (BJJ,MMA & Grappling)? Please contact the school with your questions. 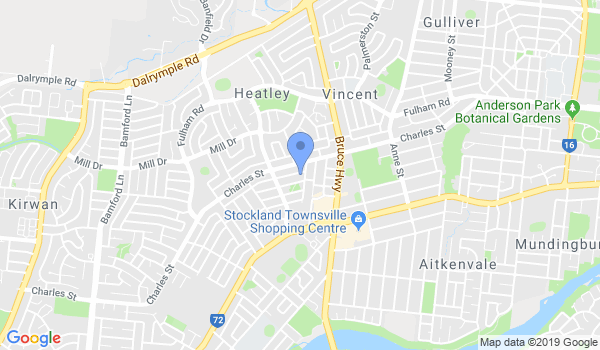 If you are associated with Sphere Martial Arts (BJJ,MMA & Grappling) in Townsville, Australia, please add additional information to this page like school's Website, class schedule, school introduction and more. There is no cost. Update this Page.